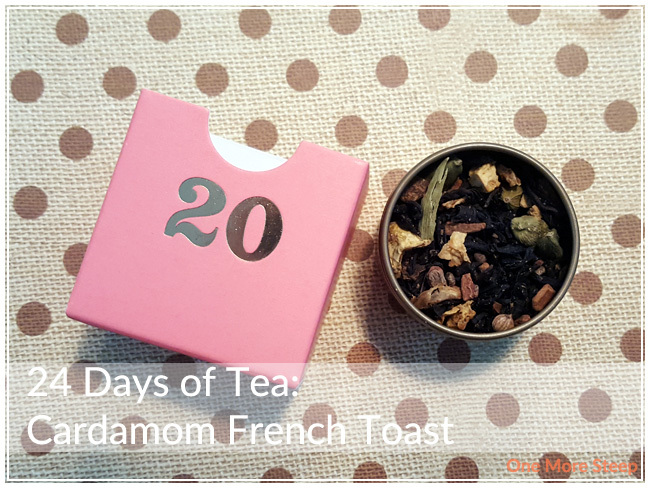 Day 20 of the 24 Days of Tea is Cardamom French Toast! 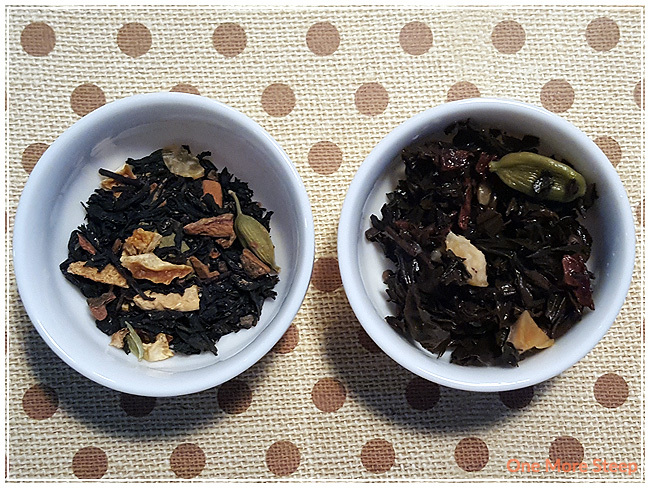 This black tea blend has been reviewed before on One More Steep, back in November 2015 (how is that for a throwback Tuesday?). It smells familiar because it is familiar – still heavy with the cinnamon, coriander, and cardamom. The blend is nicely balanced, you can see a little bit of everything, which is nice. I still haven’t tried actual French toast with cardamom yet, I should get on that! Cardamom French Toast is made up of: black tea, cinnamon, lemon peel, coriander seeds, cardamom, coconut sugar, cane sugar, natural and artificial flavouring. DavidsTea recommends steeping Cardamom French Toast in near-boiling water (90-95°C/194-203°F) for 4 to 7 minutes. I steeped my cup for about 4 minutes. Cardamom French Toast steeps to a nice deep red, and has the heavy spice aroma to it. The cinnamon, coriander, and cardamom all play nicely together. 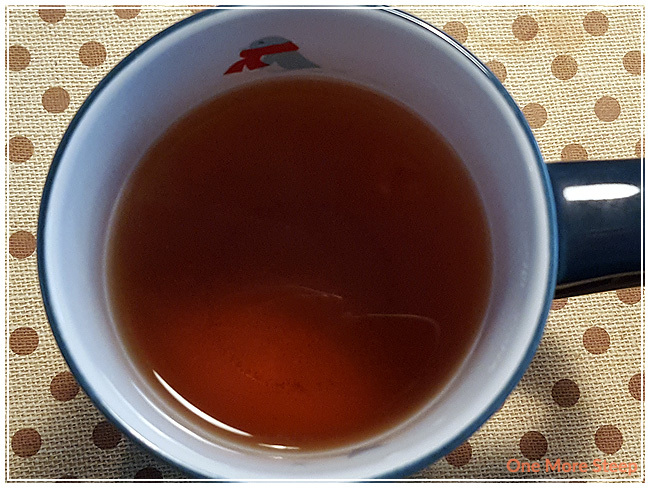 This is a sweet black tea blend – the coconut sugar and cane sugar do their job well! I played with the tea a bit more this time around, and added some evaporated milk. It’s delicious! The milk helps temper some of the heavier spice notes, while added some creaminess to the flavour profile. I think Cardamom French Toast would make a wonderful tea latte. If you don’t have a milk frother, check out my tutorial on how to make lattes at home. Cardamom French Toast does very poorly when resteeped. 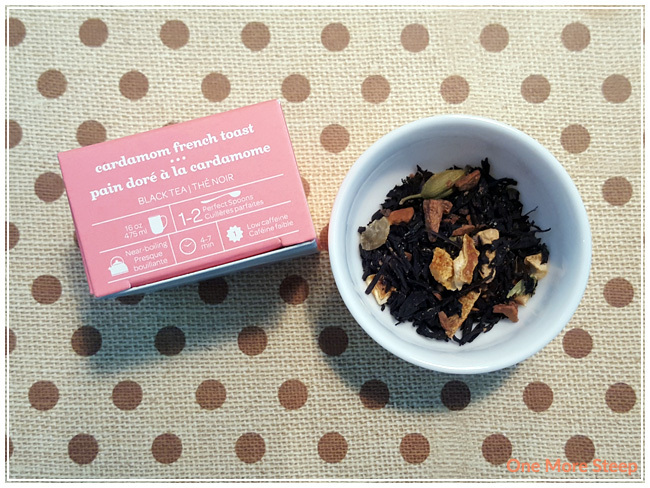 I loved DavidsTea’s Cardamom French Toast. I definitely think this is a tea that I enjoy better doctored up than I do straight. 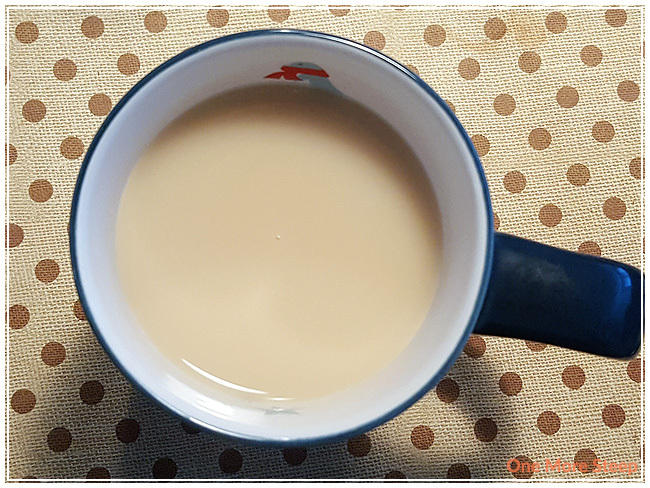 A little squirt of honey, a couple spoonfuls of evaporated milk – it makes for a very pleasant and enjoyable cup of tea!